Who Wants to be a Missionary? 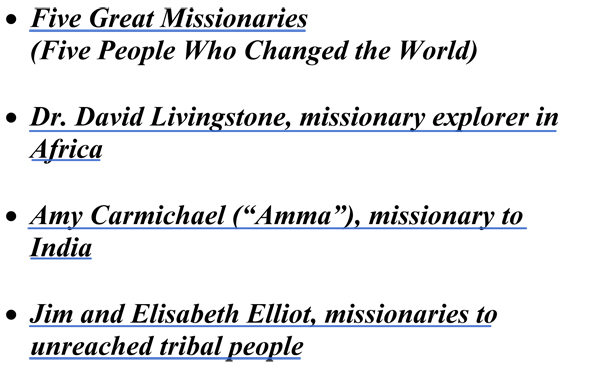 Have you completed all 4 Question Sheets for 'Who Wants to Be a Missionary'? If so, you are a World Changer Missionary Candidate!! Congratulations!! You may print your certificate by clicking the link provided. The links below will open a PDF in a new browser window.